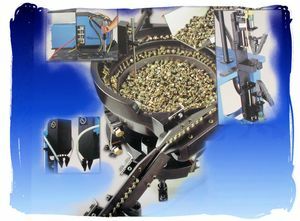 MCI/Screwdriver Polycast Vibratory Feeder Bowl systems for automatic screwdrivers encompass a wide range of high quality, state-of-the-art Parts Feeding Components compatable with all types of Automatic Screwdrivers. We offer in-house refurbishing, upgrading and re-manufacturing of any existing automatic fastener feeding and screwdriving system. We also have immediate availability of replacement parts for every Polycast fastener system, or automatic screwdriver mechanism that we design and build and for many of our com petitors fastener handling and screwdriver systems. With MCI your Lean Manufacturing Cells, including vibratory feeder bowl and automatic screwdriver needs are covered; no need to buy a part here, a feeder bowl over there, controls from yet another supplier, and the automation to make it work from yet another. We're not just integrators; we're creating the system from the ground up! 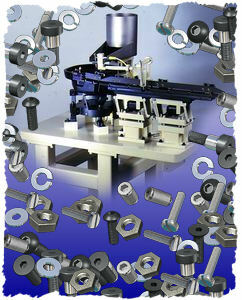 We will increse your productivity with our capability to provide you with more than just automatic screwdrivers. Our capabilities to design and manufacture complete turnkey fastener part handling systems adds considerably more value for our clients.
. We would be pleased to submit a quotation on a package that meets your automatic screwdriving requirements. Please contact one of our consultants by E-mail, or call us at 317-776-1970. Polycast Vibratory Feeder Bowls are designed and manufactured using a dual durometer track made from a special blend of polymers. These patented Polycast Vibratory Parts Feeder Bowls are designed to perform the same rigorous tasks as conventional Stainless Steel Vibratory Parts Feeder Bowls, but last longer than stainless steel and cost a fraction of custom-crafted tooling for stainless steel vibratory feeder bowls. 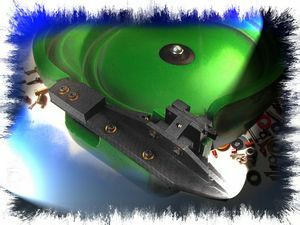 Our custom Polycast Bowl Feeders are designed specifically to convey your parts to MCI/Screwdriver's custom built Gravity Tracks, Air or Vibratory Conveyors, Vibrating Tracks, including Escapement and Placement Mechanisms for automatic screwdrivers. 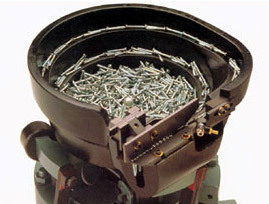 Each Polycast Vibratory Parts Feeder Bowl is designed for your flexible needs. MCI/Screwdrivers precision machined, interchangeable tooling will allow you to conveniently switch from one type fastener to another. 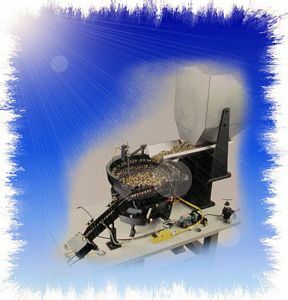 A valuable advantage of our Polycast Vibratory Fastener Feeder Bowl is turnaround time. Polycast Vibratory Parts Feeder Bowls are designed and built in a fraction of the time required to tool stainless steel vibratory parts feeder bowls.